Cancellations for refund must be made via email to jbrooks@cecinc.com by March 22, 2019. If we must cancel a seminar due to insufficient enrollment or other reasons, your registration fee will be refunded in full. No shows will be billed. Description: Unconventional natural gas development in the Appalachian Basin began in the early 2000’s. The first Marcellus Shale well was drilled in 2004 in Washington County, Pennsylvania and the industry began to ramp- up unconventional development in 2007-2008. 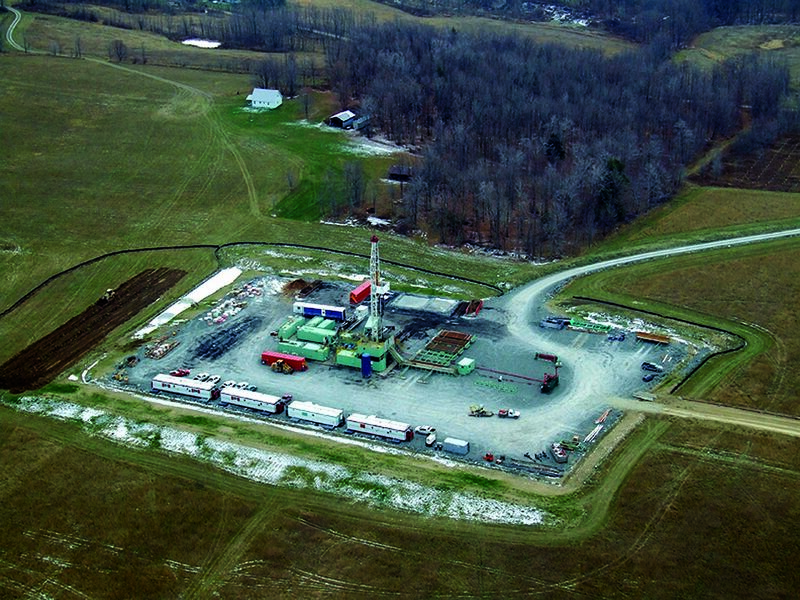 Engineers and geologists have known that deep unconventional shale deposits, such as the Marcellus and Utica shales, contained tremendous amounts of natural gas, but it wasn’t until efficient horizontal drilling technology was developed that these abundant resources could be unlocked through hydraulic fracturing. As a result of this technological revolution, which was spurred by advances in engineering, Pennsylvania has gone from producing just one-quarter of its own natural gas to producing 20% of the nation’s natural gas in just a decade’s time. Where: UPJ Campus, Heritage Hall in the Living and Learning Center, University of Pittsburgh, Johstown, PA 15904. Carpooling will be available for Pittsburgh attendees, please contact Justin Brooks if you want to carpool. Loren Anderson is the current Director of Technical Affairs for the Marcellus Shale Coalition, where he facilitates and manages technical initiatives, projects and studies undertaken by the coalition to benefit industry and public stakeholders. Mr. Anderson has a Master’s Degree in Engineering Management from Robert Morris University and a Bachelor’s Degree in Civil & Environmental Engineering from the University of Dayton. Mr. Anderson has over 15 years of experience providing broad based environmental, regulatory, energy, oil & gas, and site development services. Brian Lantz, P.E. is a Senior Project Manager at Civil & Environmental Consultants, Inc., where he manages and oversees permitting of well pad development in PA, OH, and WV. Mr. Lantz has an MBA from Geneva College and a Bachelor’s Degree in Civil Engineering Technology form the University of Pittsburgh at Johnstown. Mr. Lantz has over 12 years of experience providing engineering and permitting services for the Oil & Gas Industry. Register by March 18, 2019. Early bird pricing closes March 13, 2019. For Questions Contact: Justin Brooks, PMP, Chair Continuing Education Committee, jbrooks@cecinc.com, 724-302-6069.